Apple said months ago that an Amazon Prime Video app would be coming to the Apple TV “later this year,” but the entire summer went by without it ever showing up. Now, though, MacRumors has spotted a sketchy rumor that’s being spread by a Reddit commenter going by the name of “AmazonVideoEngineer,” who claims we’ll finally see the Prime Video app hit Apple’s set-top box on October 26. Two weeks ago, the same commenter claimed in his or her first post that Amazon had already finished the app long ago, but that “a lot of politics” between Apple and Amazon were preventing it from getting to us. That scenario seems likely, as Amazon and Apple (and Google) already got into a tussle a couple of years back when Amazon stopped selling the Apple TV (and Google Chromecast) in what it called an effort to prevent “confusion” among customers. The Apple TV 4K briefly made an appearance on Amazon a couple of weeks ago, but was banished again almost as soon as it appeared. Even so, it’s still probably wise to take all this with a grain of salt since there’s little proof AmazonVideoEngineer is what he or she claims to be. And, of course, there's a chance those "politics" could still get in the way even if it is true. 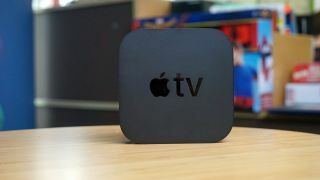 The absence of Amazon Prme Video has long been one of the main complaints about the Apple TV from customers, particularly since Amazon now tends to offer a larger library of well-known movies and TV shows than competitor Netflix. Will Apple put Apple TV 4K on sale for Black Friday 2017? It's possible!